The Green Wall are now 5-0 in Stage One. Stage One of the Call of Duty World League Pro League resumed earlier today, and the first-place team continued to dominate the competition. 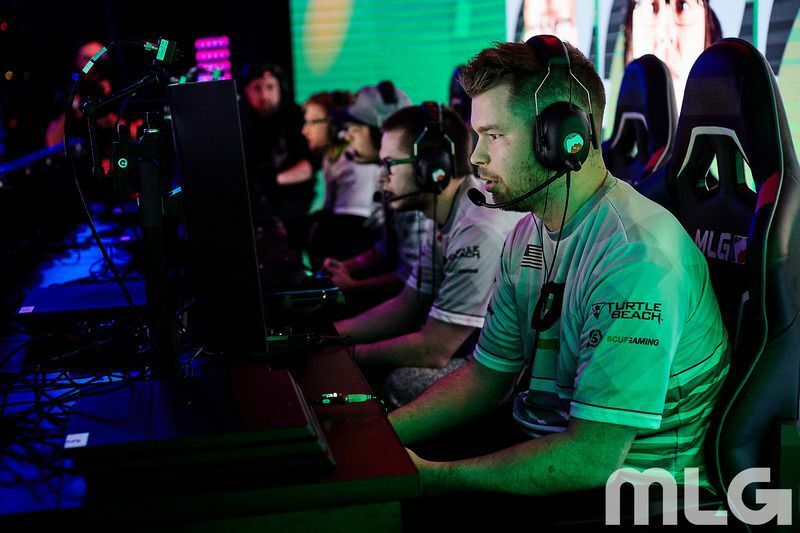 OpTic Gaming—Seth “Scump” Abner, Matthew “FormaL” Piper, Damon “Karma” Barlow, and Ian “Crimsix” Porter—went 2-0 on Tuesday to remain undefeated in the CWL Pro League. The Green Wall squared off against Team Vitality in their first match of the day, and they easily swept the French squad. Then, in Tuesday’s main event, OpTic beat Echo Fox 3-1. Led by Crimsix’s 41-kill performance, OpTic opened the series with a 250-131 win on Sainte Marie du Mont Hardpoint. But Echo Fox responded, as Renato “Saints” Forza dropped 12 kills to help Echo Fox take USS Texas Search and Destroy 6-3. The final two maps in this series, however, went down to the wire. OpTic won London Docks Capture the Flag 4-3 in overtime. The Green Wall quickly punched in a flag capture in the first overtime, but Echo Fox answered back with a quick flag pull of their own. As time started to dwindle, however, Echo Fox’s Ulysses “Aqua” Silva failed to make it back to his base, and OpTic won the map by just a few seconds. Facing a 2-1 series deficit, Echo Fox held a late lead on Gibraltar Hardpoint—but it was OpTic’s turn to mount a comeback. The Green Wall took 37 straight seconds on the Turret hill to secure the 250-242 map win, and 3-1 series victory. Before dropping their match against OpTic, Echo Fox lost 3-0 to Red Reserve, as they went 0-2 on Tuesday. Following their victory in the first CWL Pro League Challenge yesterday, eRa Eternity were also swept by Rise Nation. The final match of the night, however, proved to be a thrilling series, as Mindfreak pushed Team Kaliber all the way to a game five. The Australians had a 2-1 lead, but in typical tK-fashion, Team Kaliber bounced back and secured the 3-2 series win. Stage One of the CWL Pro League will resume on Wednesday, Jan. 31 when Vitality take on Mindfreak at 4pm ET.